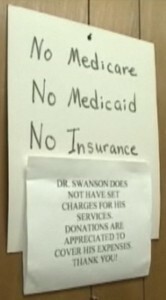 Dr. Swanson, a 78 year old medical doctor from Iowa, practices for free. He simply has a donation box in his lobby. At a time when the economy is entering into a depression and many people cannot afford healthcare, his average donation is $10 and he sees 150 patients a week. 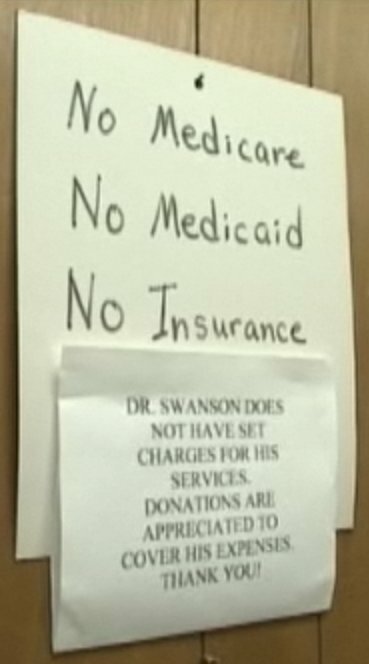 Dr. Swanson has the right perspective on life and his medical practice. Chiropractors need to learn a lesson from this humble man and be willing to provide care to everyone who needs it, regardless of their ability to pay.